Background: Hairy-cell leukemia (HCL), lymphoproliferative disease of older age, is characterized by projections from surface of abnormal cells. Aim: The aim was to study the clinical presentation and ultrastructural changes in hairy cells (HCs) following cladribine treatment. 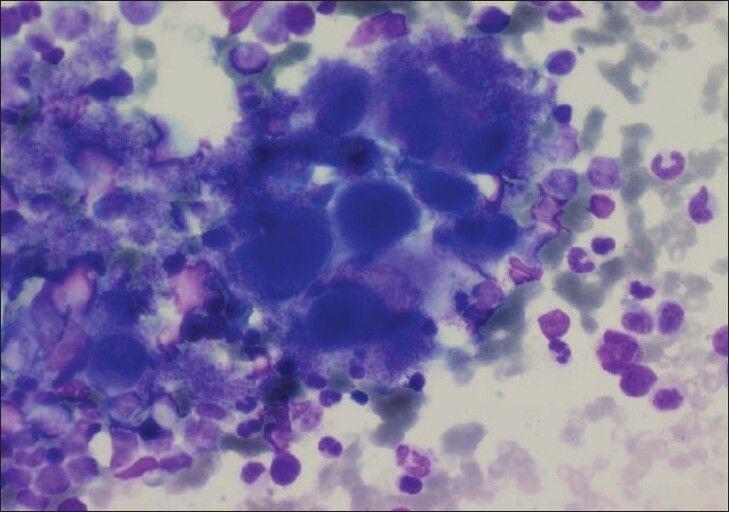 Settings and Design: Clinical presentation, peripheral smear, bone marrow aspiration and biopsy of HCL cases diagnosed over a period of three years were reviewed. Materials and Methods: Consecutive HCL cases in Hematology clinic of a tertiary care center were enrolled. Tartarate-resistant acid phosphatase (TRAP) test was done to detect HCs and electron microscopy was done to demonstrate initial ultrastructural changes and alterations following cladribine therapy. 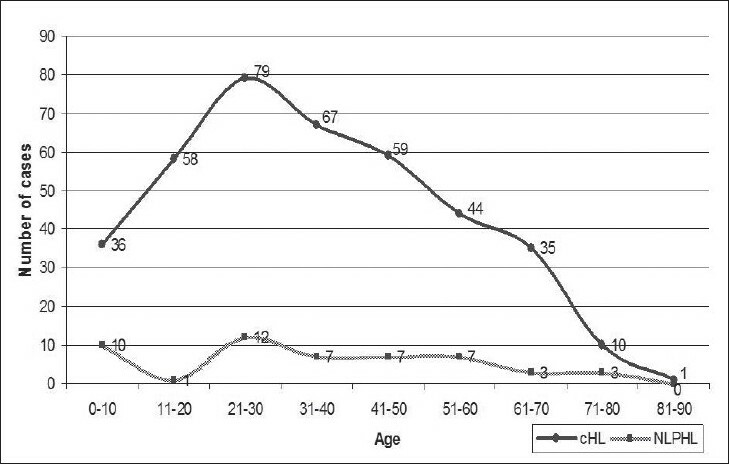 Results: Fifteen cases of HCL, aged 32-57 years (median 47 years) were studied. 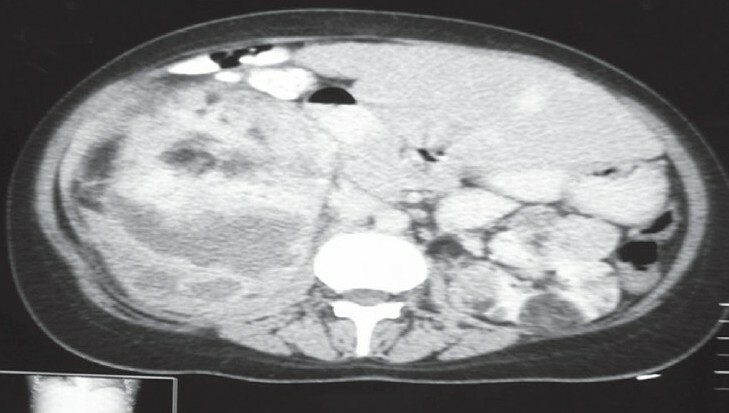 The clinical presentation included splenomegaly in 15 (100%), fever in 10 (67%), hepatomegaly and pain abdomen in eight (53%), fatigue in nine (60 %) cases. The commonest laboratory features were monocytopenia in 13 (87%), neutropenia in 12 (80%), anemia in 10 (67 %) and pancytopenia in nine (60%). All patients showed symptomatic improvement on cladribine therapy. Electron microscopy after treatment (three months) showed loss of the finger like projections, characteristic bald lymphocytes, loss of ribosomal lamellar complexes, as well as decrease in mitochondria and vacuoles. Conclusions: Indian patients with HCL are younger. Cladribine is an effective therapy for these patients and leads to complete response in most of the patients. There is a significant improvement in the ultrastructural features following cladribine therapy. Background: Imatinib mesylate has shown promising results in chronic myeloid leukemia (CML) in all phases. This drug is an effective treatment for patients with CML in chronic phase as it induces hematological remission in nearly all patients and cytogenetic responses in many. The bone marrow changes produced by this drug are different from the treatment modalities used earlier in CML. Materials & Methods: We studied 80 patients of CML on treatment with Imatinib at doses of 400-800 mg per day. Morphological and cytogenetic evaluation (Ph analysis) of bone marrow aspirates was done at six months of treatment. Result: In our study, 95% (76 out of 80) patients showed complete hematological response and 63.3% showed major cytogenetic response at the end of six months of treatment. 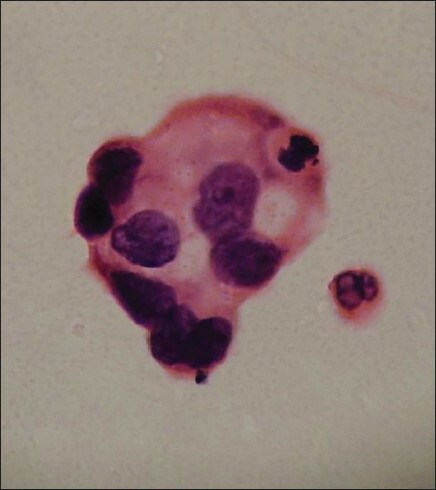 The most commonly observed changes in the bone marrow aspirates at the end of six months of therapy were in the form of reduction in the cellularity, reduction in the M: E ratio to a mean of 2:1, presence of relative erythroid hyperplasia, normalization of megakaryocytic morphology and variable increase in the bone marrow lymphocytes. None of these changes had significant correlation with the patient's Ph status. Conclusion: We advise study of trephine biopsies to overcome the often-faced problem of hemodiluted aspirates in these cases and evaluation of sequential bone marrows to check the durability of these morphological changes and their correlation with the cytogenetic response with emphasis on cytogenetic changes other than Ph positivity. Background: Mammographic density is a function of abundance of epithelial and connective tissue in breast. It has been identified as an independent risk factor for breast cancer in studies in western populations. We conducted a case control study to evaluate the role of mammographic density as risk factor for the development of breast cancer in Indian patients. Methods: One hundred and one cases of breast cancer and 123 healthy controls were included in the study. 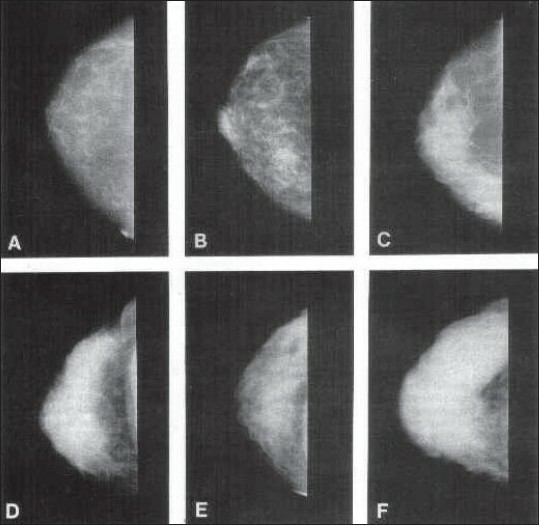 Mammographic density of the breast tissue of all controls and the contralateral breast of breast cancer patients was measured using a six category scale by a qualified radiologist. Results: A low prevalence of dense mammographic patterns (16.3% in controls and 26.7% in cases) was seen in the study population. Premenopausal women with breast density of 50% or more had 3.8 times risk of developing breast cancer than women with breast density of < 10%. (OR = 3.86; 95% CI = 1.4-10.1) In postmenopausal women with mammographically dense breast, no such increase in risk was noted. Conclusion: High mammographic density patterns are associated with an increased risk for the development of breast cancer in younger women in a low risk population, whereas no such increase in risk is seen in postmenopausal women. Context: Management of cervical lymph nodes metastases of squamous cell carcinoma (SCC) from primary of unknown origin (PUO) is contentious and there is insignificant data from India on this subject. Aims: To present experience of management of these patients treated with curative intent at a single institution. Settings and Design: Retrospective study of patients treated between 1989-1994 in a tertiary referral cancer centre. Materials and Methods: Eighty-nine patients were evaluated in the study period and their survival compared with patients with common sites of primary in the head and neck with comparable node stage. Statistical analysis used: Kaplan-Meier method. Results: The clinical stage of the neck nodes at presentation was N1 in 11%, N2a in 28.5%, N2b in 22.5%, N3 in 35% and Nx in 3.4% patients. All patients underwent surgery and 70 patients received more than 40Gy postoperative radiotherapy. Twenty-nine (32.6%) patients had relapse of which 19 (21%) were in the neck. Postoperative radiotherapy did not influence the neck relapse (p=0.72). Primary was detected in 13 patients (14.6%) on subsequent follow up. 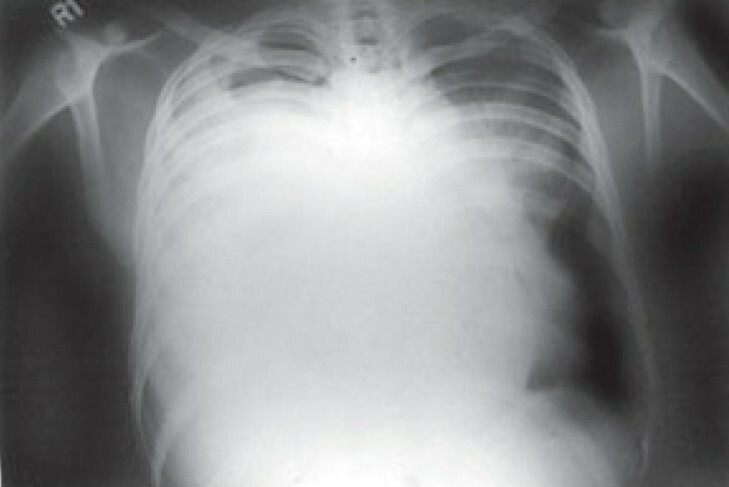 The overall five and eight-years survival was 55% and 51% respectively. 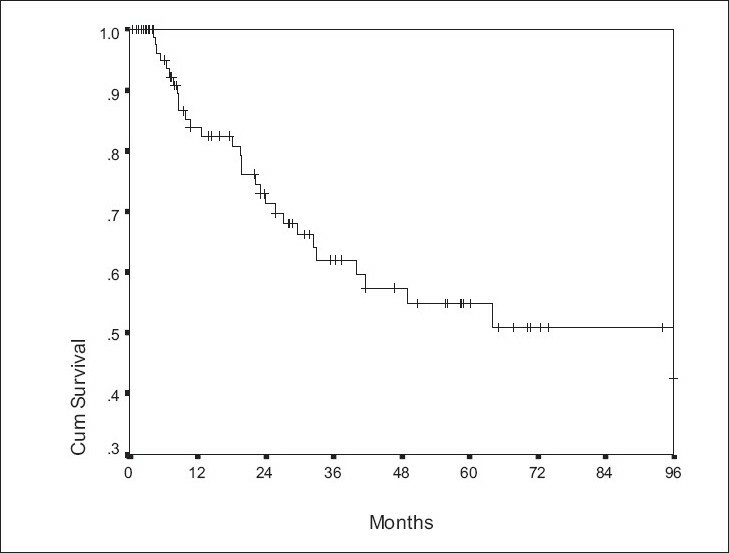 The overall five-year survival was better compared to patients with known primary with comparable node stage. Conclusions: Patients with cervical lymph nodes metastases of SCC from PUO have reasonable survival and low rate of development of subsequent primary when treated with surgery and radiotherapy. The overall survival is comparable to that of patients with known primary and hence an attempt at cure should always be made. Aims and Background: The immunoprofile of the Reed Sternberg cell with respect to immunoreactivity for CD20 and lack of CD15 has been described as a poor prognostic factor. 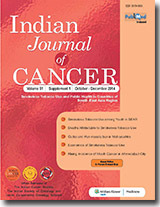 Large scale studies analyzing the immunoprofile of Hodgkin's lymphoma (HL) from India are lacking. The aim of this study was to obtain baseline information on relative frequencies and immunoprofiles of the two major types of HL and comparing reports from developed and developing countries. Materials and Methods: 451 cases of HL were classified as per the WHO into classical (n= 397) HL (cHL) and nodular lymphocyte predominant HL (NLPHL) (n=54). Cases of cHL were divided into 5 immunophenotypic groups; Group A (CD15+,CD30+,CD20-), Group B (CD15-,CD30+,CD20-), Group C (CD15+,CD30+,CD20+), Group D (CD15-,CD30+,CD20+)and Group E (CD15-,CD30-,CD20+). In cases of NLPHL, the immunophenotype of lymphocytes in the background, whether T(CD3) or B(CD20) rich was observed. Results: Most cases of cHL belonged to Group A (44.58%) followed by Group B (40.05%), C(5.54%), D(9.57%) and E(0.25%). Half, (50.89%) the cases of cHL were immunonegative for CD15, whereas CD20 was expressed by 15.61% of the cases. Three (5.55%) cases of NLPHL showed a CD3 (T) cell rich background. Significant differences were also observed with respect to the age distribution of cHL as compared to the west. Conclusion: Our study demonstrates that India has a high number of CD15 negative and a relatively higher number of CD20 positive cHL cases as compared to the western population. Favorable treatment response and good cure rates that one sees in western cHL may not apply to India. Synovial sarcoma is uncommonly documented in the pelvis. Rarely, such cases have dealt with molecular analysis. A 19-year-old boy presented with pain and swelling in his left lower limb of two months duration. 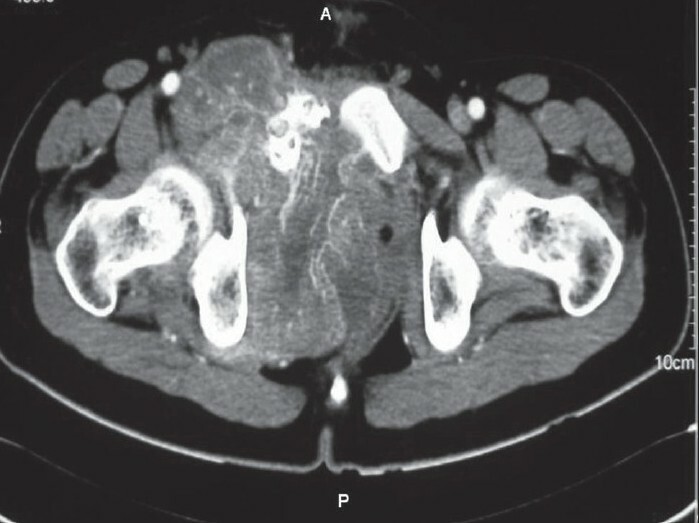 He developed acute urinary retention four days prior to his hospital admission, wherein radiological examination unraveled a large soft tissue mass, displacing his pelvic muscles, along with a lytic lesion involving his right pubic bone. Biopsy showed a cellular spindle cell sarcoma, exhibiting hemangiopericytoma-like vascular pattern with focal necrosis. Immunohistochemistry (IHC) showed positivity for vimentin, BCL-2, calponin and MIC 2. Cytokeratin (CK) and epithelial membrane antigen (EMA) were negative. MIB 1 count was 70% (high). P53 was positive. Diagnosis of a poorly differentiated synovial sarcoma was offered and confirmed with a positive t(X; 18) SYT-SSX2 translocation. This case highlights the value of molecular analysis in diagnosis of a synovial sarcoma at rare sites, especially when IHC results are equivocal and the biopsy material is limited.